You’ve probably heard about PPC advertising (that’s Pay per Click). We are enrolled in the Google Partners programme, so that means we have access to a whole load of data, tools and knowledge to help your PPC advertising be a success. We’ve included some overview information on this page. 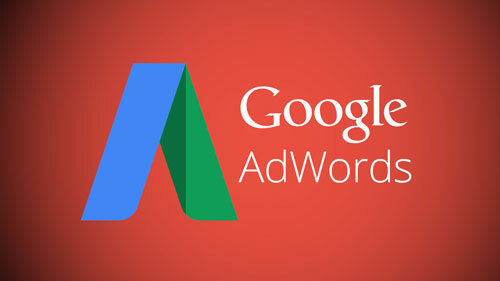 Get a free AdWords account review from our expert team – see what you could be doing better. PPC advertising with Google AdWords is highly flexible and can help whether you’re looking to attract new website visitors, grow online sales, get the phones ringing or keep customers coming back for more. With PPC advertising you can reach relevant customers on relevant websites across the web. A range of options let you target by website type, audience type or remarketing (ask us about this), when and where it matters. AdWords shows how many people notice your ads and what percentage click to visit your website, or call you. With tracking tools, you can even see the actual sales your website is generating as a direct result of your ads. The AdWords platform allows you to target your ads to customers in certain countries, regions or cities – or within a set distance from your business or shop, or at specific times of specific days. Your business gets found by people on Google precisely when they’re searching for the goods or services that you offer – they’re in-market and we want them to come to you. We understand that PPC advertising can be a bit of a minefield, so we’re always happy to take a little extra time to explain some of the intricacies to you. Like any good marketing campaign, we’ll start your PPC campaign by assessing your objectives and goals which we then use to define our PPC strategy. We have access to industry tools that will allow us to research a high volume of keyword options which we then divide into groups for highly targeted campaigns, often using multiple executions for a more cost-effective approach. We always suggest you start small and focussed to ensure your campaign delivers a positive ROI. It is best practice to build multiple ad groups, which allows a keen focus on themes of keywords and relevant ad copy. Well written copy will also pre-qualify visitors before they click your ad, making your investment more efficient; we’ll also ensure that the landing pages on your website are properly optimised. As with any campaign it’s essential to have this in place – if you don’t measure it, you can’t manage it. If it’s phone calls to your sales team that you’re trying to generate we need to be tracking those calls right back to the keyword the customer typed into Google, to the ad they clicked and the page of your site they landed on. We also offer call tracking services for complete end-to-end analysis of the sales process. Based on the data we’re collecting our aim is to optimise and improve the performance of the account and campaigns continually. Based on the targets we’ve set and the results we’ve achieved so far we can tailor the direction of the campaign to maximise your ROI. With PPC once you’ve done the basics and been up and running for a few months it’s all about the incremental gains. Shaving 0.004% off your cost per acquisition when scaled across thousands of clicks can really make a difference, trust us! Every month you’ll get a report on the results that matter to you – how many sales, leads, signups and that sort of thing. Our main focus for transactional (be it physical sales or lead generation) PPC is CPA (cost per acquisition), which we work to reduce month on month on month with our incremental gains strategies. Our pricing structure is transparent and we charge for the time we spend working on your account. Based on a number of factors, like the competitiveness of your niche, the objectives you’ve set and the current state of play, we’ll estimate the time needed to make the campaign a success. Of course, we can spend less time to accommodate your budget but it just means those results might not come as quickly. Our minimum retainer is £400 per month. Clients settle all media costs directly with Google. If YES, what is your monthly spend?